This time last season, Spring Grove was on its way to a YAIAA Division I title and berths in the District 3 and PIAA playoffs. The Rockets are just 2-7 in their last nine games. Now, its fighting for its postseason life. After starting the season 5-2, the Rockets (7-9, 7-4 Division I) have gone 2-7 in their last nine games and are clinging to a spot in districts with four games to play. 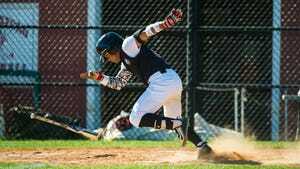 Their rough stretch continued Wednesday when they lost at home to South Western, 7-6. Five of Spring Grove's last seven losses have been decided by one run, with the other two coming by two runs. Head coach Kevin Stiffler called the losses "heart-wrenching," but said the Rockets aren't giving up on the season yet. "They work extremely hard and do what we ask them to do," Stiffler said. "We'll bounce back, I still have confidence in these kids. We've had some bad luck with one-run games. It's not like we've been getting blown out." On Wednesday, the Rockets committed four errors in the first four innings that helped put them in a 5-1 hole. Down 7-2 in the bottom of the seventh, Spring Grove rallied for four runs but left the tying run on second base when Jon Sager struck out to end the game. The Rockets nearly picked up an important run in the fifth inning, but Austin Piety was called out at home plate when he collided with the catcher. Stiffler said he understood the umpire's call and that it was not the reason the Rockets lost the game. "That didn't cost us the game, we've got to overcome stuff like that," Stiffler said. "We just didn't make plays we typically make. We talk about minimizing mistakes, staying out of big innings and we botched three bunts today. That's a difference maker." Spring Grove is still without star pitcher and hitter Matt Brooks, who has missed the last eight games with an injury. Stiffler said there's a chance Brooks could return if the Rockets reach the District 3 playoffs. The Rockets entered Wednesday ranked 14th in Class AAA, with the top 16 teams qualifying for the tournament. As frustrating as this season has been for Spring Grove at times, Stiffler said the players are remaining positive and still think they can win their last four games. All four are against division opponents, including two of the league's best teams in Dallastown and Red Lion. 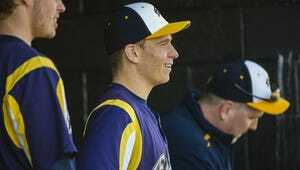 "We have one of the top schedules in District 3 and we're right there, we're playing with every team," Stiffler said. "So its frustrating. But I feel like they're a battle-tested team. We're not giving up and they're not giving up." South Western (8-9, 7-6 Division I) kept its District 3 hopes alive with Wednesday's win, but the Mustangs have a harder path to the postseason than Spring Grove. They entered Wednesday ranked 23rd in Class AAAA, and will need to sneak into the top 16 by the end of the regular season. Mustangs head coach Mike Resetar said his players are more upbeat than nervous at this point in the season. He added that he's preached to them to enjoy their last three games and not worry about trying to make the playoffs. "There's an outside chance (to make the playoffs), but its slim and we told them just to have fun and control what we can control," Resetar said. "The seniors have battled all year, and we're just trying to compete the best we can."